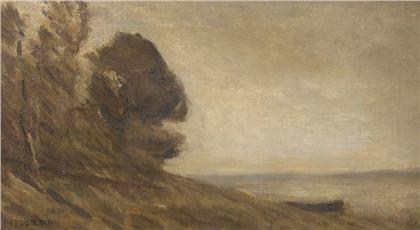 A boat on a wooded shore. 10 x 18 (16 x 24) inches. 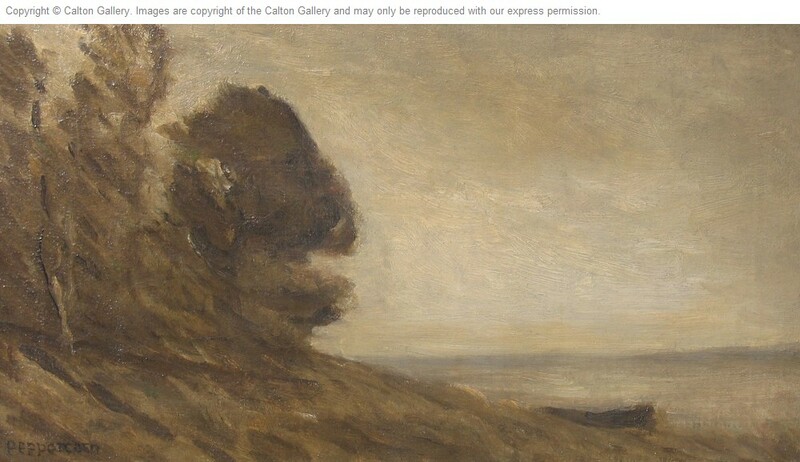 Exhibited in Calton Gallery Exhibition “The English Corot” in 1982.